Geared towards players who can change the game in a second, adidas introduced the X16+ PURECHAOS as a feature boot for this summer. What better platform to showcase their latest advanced release than at Euro 2016, Copa America and the Olympics. And they set an immediate statement thanks to the chrome upper finish, a head turner that is worthy of gaining player and fan attention as it streaks across pitch. In order to create the final product, adidas took the competitive X15 release and made some high profile, strategic modifications. This time around, an ultra textured NSG upper is coupled with a tighter TechFit ankle collar to produce something players will want to experience. We’ve had this pair in testing since mid May, and here is how they played out. 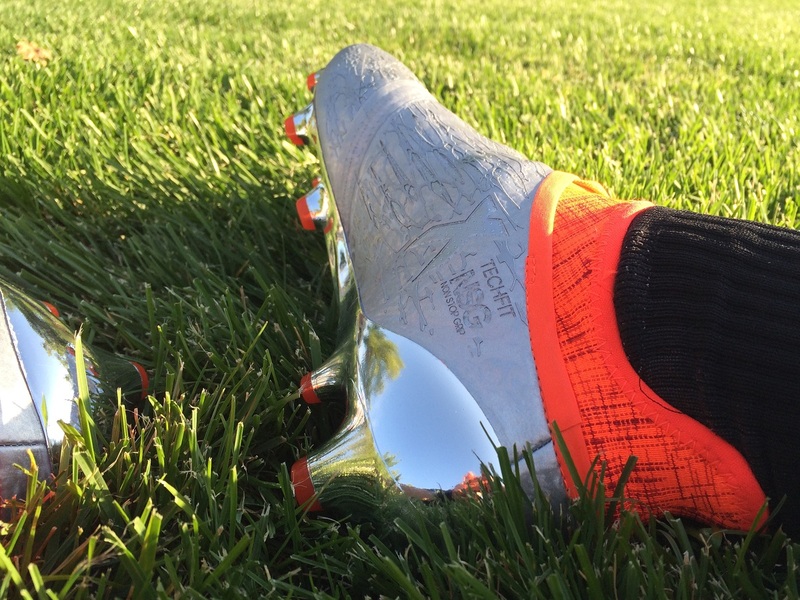 Find the current line-up of PURECHAOS boots available at soccer.com. This one comes as somewhat of a semi-surprise release. A fresh take on the modern X series from adidas, and this one has an even more interesting twist with a lace covering synthetic NSG upper. There are also some other modifications through the ankle collar that should take this one to the next level. One of my key areas of interest is with the general fit and how tight they are going to be across the foot. The most important thing to note about PURECHAOS is that they are designed to fit very snug, and they need to be in order to really fulfill their functionality. 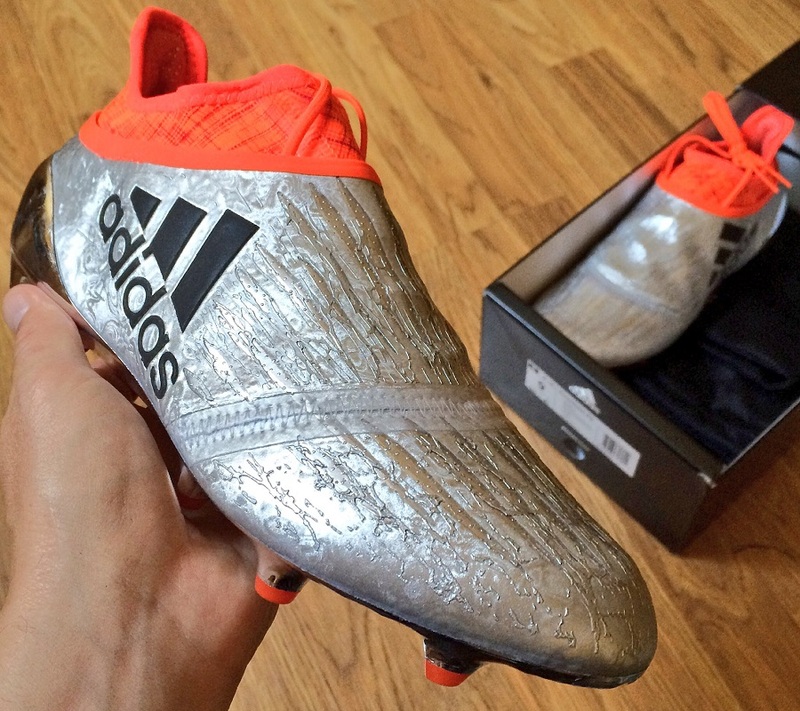 For the majority of players that wear them, the first time out will be a challenge – just expect it! In order for the upper materials to loosen and mold to your foot shape, their is a certain adjustment period that you just need to go through. Some players might be lucky enough to have them fit out of the box, and they also probably have a very narrow foot; I wasn’t one of those players. Instead, the first wear was a struggle and I changed out after maybe 15 minutes. It just felt like several areas of my foot were cramping as my feet adapted to the security of the boot. Over the following few days, I wore them while coaching and although they were still not properly molded, they got better with each wear. 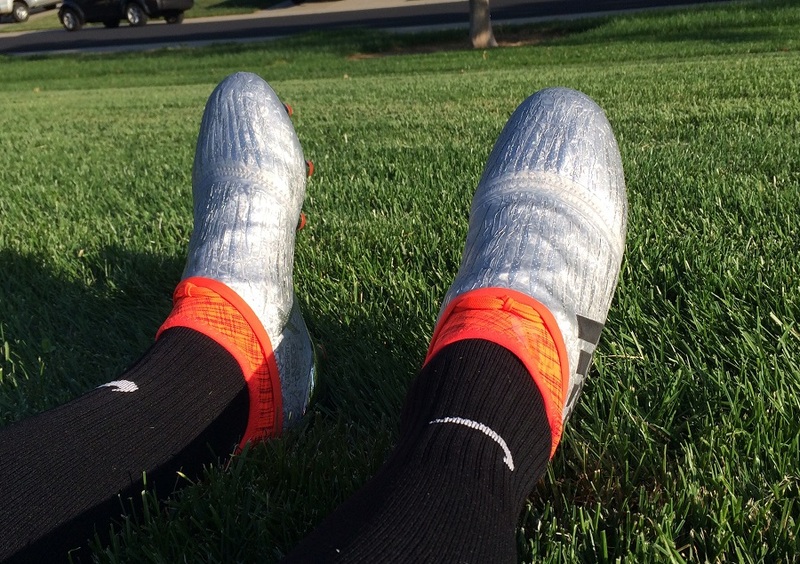 At this point, they feel really comfy and I’ve worn them through several 90 minute games without any issue. As far as general wear goes, they are a pretty restrictive fitting boot, tough to get in and out of. You won’t be able to loosen them in any way, so what you get is what you get. 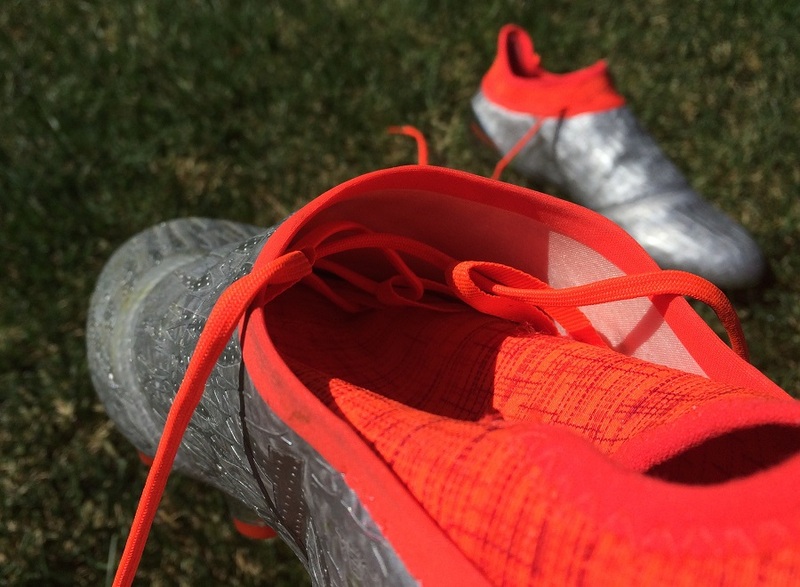 If you are a player that likes to be able to loosen your laces and create a more spacious fit, you are not going to want to go anywhere near these. Oh, and there are laces in play, but they only allow you to further tighten the fit. I’ll talk about that more below. Once you get past the initial break in period, what else does the boot have to offer? One aspect that I really appreciated was the micro grip dots that sit inside the ankle line, they offer some extra security by keeping your ankle tight against the upper material, reducing the opportunity for movement and blisters. And something else I really like is the memory foam style inner lining. Again, I’ll talk a bit more about that below. First up is the chrome style upper that resembles a melted metal poured on an uneven surface. adidas has labelled it “PureCut” and it is made of a synthetic material that is a lot more pliable than it looks in images. You can easy bend it between your fingers. It is basically an overlay that covers the laces and adds some added touch benefits on the ball through the forefoot. The outer side has plenty of texture thanks to an an “NSG”, or Non Stop Grip, lining. Each piece of the lava like pattern is raised very slightly off the surface of the boot. This helps by adding extra grip and friction as you look to control and move with the ball at you feet and you definitely experience that as you dribble with speed. What I really like is the fact it is more “bumpy” texture than “tacky” texture, so you don’t have the ball sticking too close to the material. 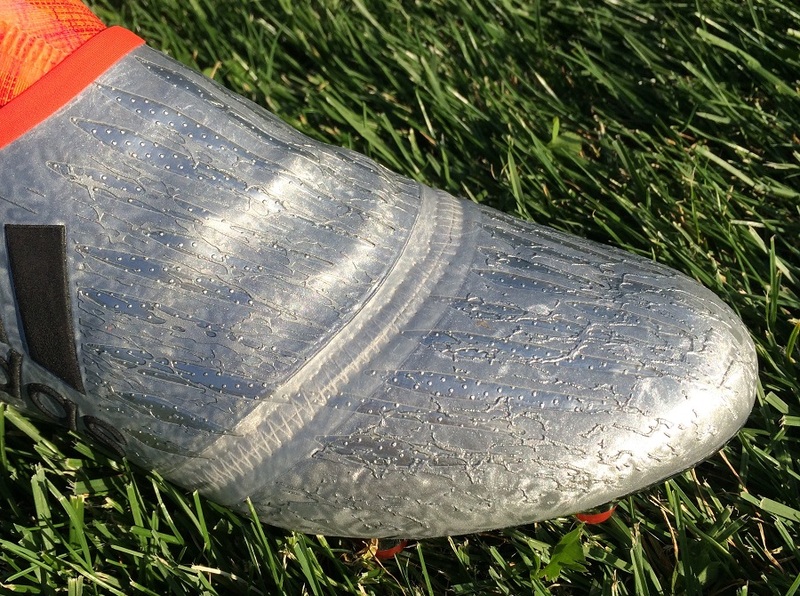 Inside the boot, adidas has added a memory foam type material around the toes. It is a thin layer of material, but enough to prove beneficial as you strike shots. If you look at the upper, you will notice a stitched layer that navigates through the forefoot. This is the line where the memory foam type material is added in, essentially breaking the upper into two parts. When it comes to hitting solid shots, this is a great option as it balances the amount of impact resistance and power, while maintaining a solid level of natural feel on the ball. So, I’d give them a proper A rating when it comes to striking shots. Laceless? No, They Feature Laces! 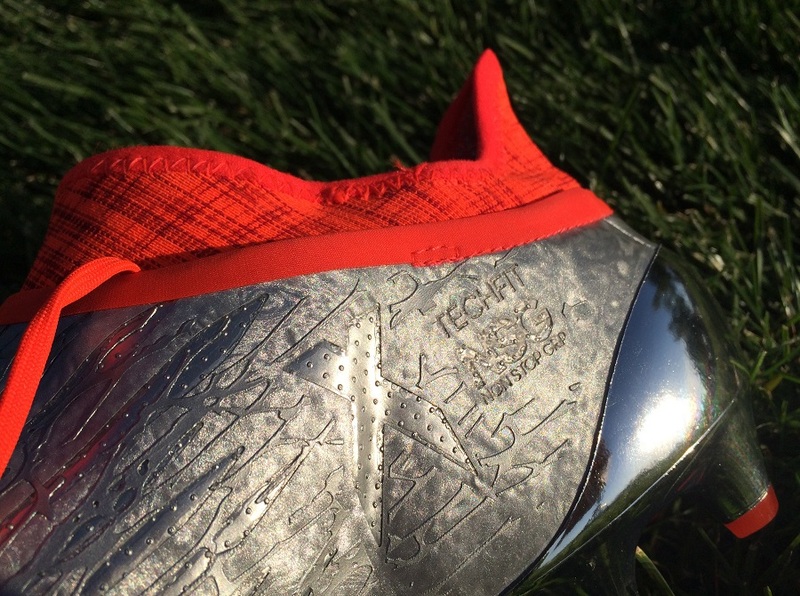 Yes, tucked under the top upper layer is a lace, so technically this is not a laceless boot. Could you take this lace out and wear the boots? Yes, absolutely. The nature of the upper construction and TechFit collar ensures they are tight around your foot. The laces ensure you can really control the final fit, tightening them an extra bit just in case you need it. A big concern for this type of hidden lacing is what happens if you need to take them out? Lets say one of them breaks, what do you do? Well, thankfully in this instance, you can access the entire lacing structure and the 3 loops either side that they flow through. I’m not saying it will be an easy process to re-lace, but with a little time and patience it can be done! When you tighten the laces, it is possible to slip them under the upper layer, where they won’t be seen. I’ve done that a few times and the laces have slipped out. 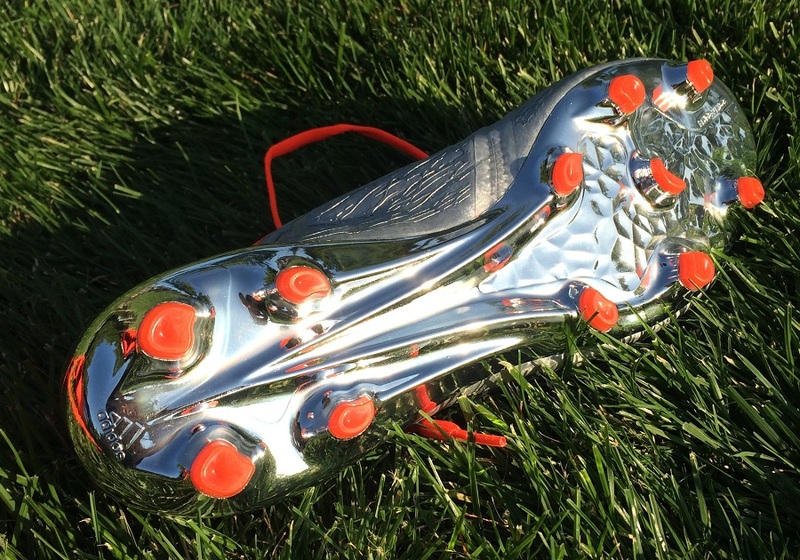 But in general, it provides a very clean look to the boot as you play. Unless, of course, you’d prefer to let them dangle across the top! Traction – Are they AG Ready? Underfoot, adidas has returned to a SprintFrame, something you might recall as being the soleplate of choice for the adiZero series. The difference on this version is a switch to slightly off-conical shaped studs. Each has an angled chunk taken out of it, with the central blade taking on a more boomerang style shape. All combined, it is something you’d think would allow adidas to continue referencing to them as an AG option. But, that doesn’t seem to be the case. This release is listed as FG, with AG omitted. Why? I’ve no idea. On AG, they still perform just as effectively as the recent FG/AG releases, providing valid traction without any over grip on the surface. So, if you need them for AG, I say go for it. Out of the box, the plate itself is decently stiff with some solid spring back. Over the first few wears, it loosened up nicely through the forefoot while keeping solid support through the midfoot spine region. One other note here. 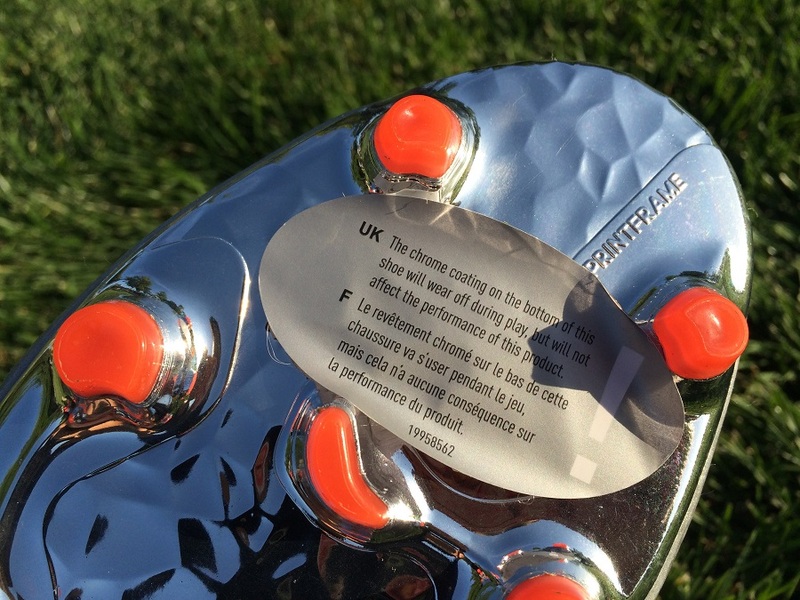 The soleplate features a chrome coating, something adidas state will wear off over time. Looking at them out of the box, you can see your reflection and can basically use the bot as a mirror – they are that shiny. During testing, my pair did chip ever so slightly up around the tip of the boot, most likely where it is connecting the surface as you get under the ball. Underneath, the plate is a similar silver color, just with a duller finish. 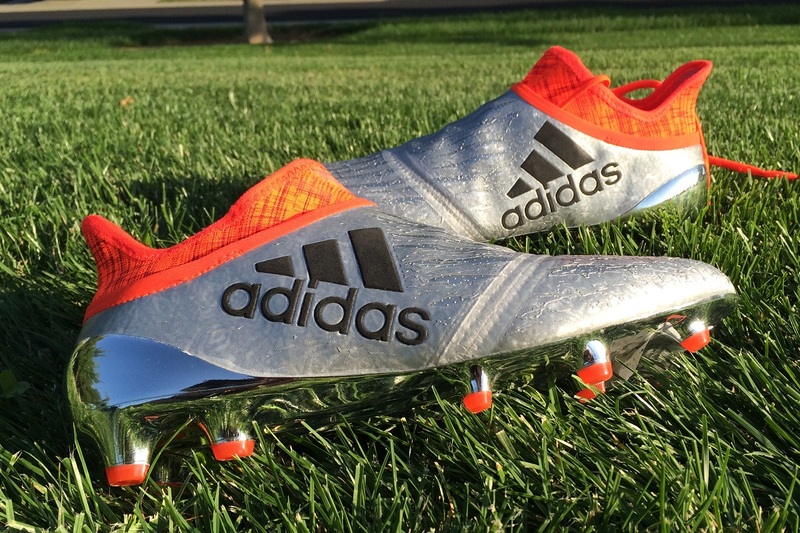 adidas has made some modifications with the Techfit collar and the opening where you slip your feet in. As you might have gathered, its purpose is to create a locked in feel, with a tight line right around the ankle. One obvious change is the material used. This time around, a slightly thicker fabric material with stretch like feel. It takes the boot into a more competitive field with Nike’s dynamic mid-cut collar line-up and ensures that it doesn’t loosen as much over time. Then there is the general cut, with adidas taking a Primeknit 2.0 style approach around the heel. This provides a little extra protection to the Achilles, with a higher cut covering more of the area. Thankfully, it has a curved design that sits flush with your heel contours and sits very comfortably. Once you figure out getting your feet into the boot – something that is not easy to do the first times around – they fit very much true to size. They are a little more constricted than your general release across the midfoot and though the TechFit collar, and that is woth considering. But, I’d stick with true to size still if I was to order another pair. Though the forefoot, I’d rate them as a pretty decent wide fitting option, although you won’t get too much stretch out the material over time. This boot is not for everyone because of the extremely snug fit through the midfoot and ankle. But that is something players should be aware of before purchasing. If you are not a fan of tight fitting boots, just avoid them. Design wise, they also leave something to be desired – but that is down to personal interpretation. In terms of general performance, they fit their role so there really isn’t that much else to discuss here. Again, find the current PURECHAOS line-up available at soccer.com. Highlight: An updated, high-end X release that is designed with an extremely clean strike zone and a tighter, more controlled upper fit. Category: This is very much a Hybrid between Speed and Power. Would I Buy Them: I’ve thoroughly enjoyed what these boots have to offer, but from a personal perspective I’m not big on the constricted fit and struggling to get the boots on. I like laces! But note, I will be highly recommending the performance to others. Player Position: In theory, they have all the attributes of attacking style, game-changing boot. BUT, they could just as easily fit the mold needed by defensive players. 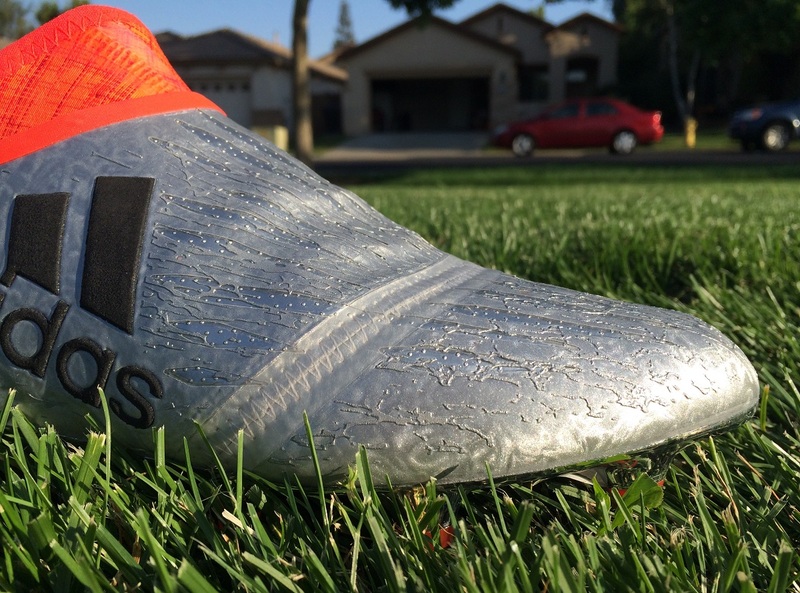 There is enough protection across the forefoot and the added texture is perfect for possession soccer.